Dainty little shikuwasa. Oh, how I love thee. 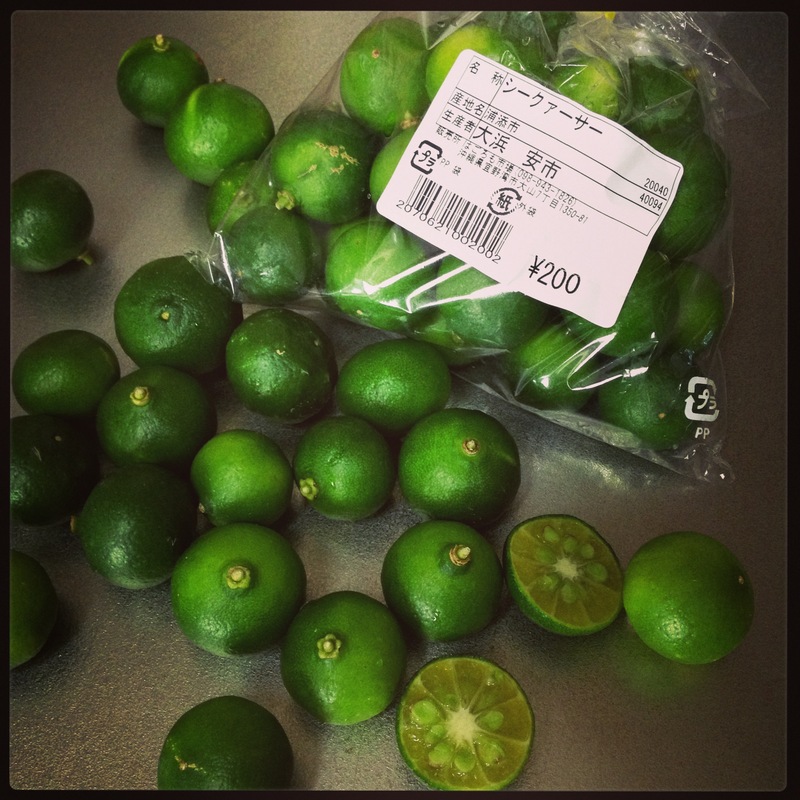 It’s called an Okinawan lime, but I think it’s much tastier than lime. 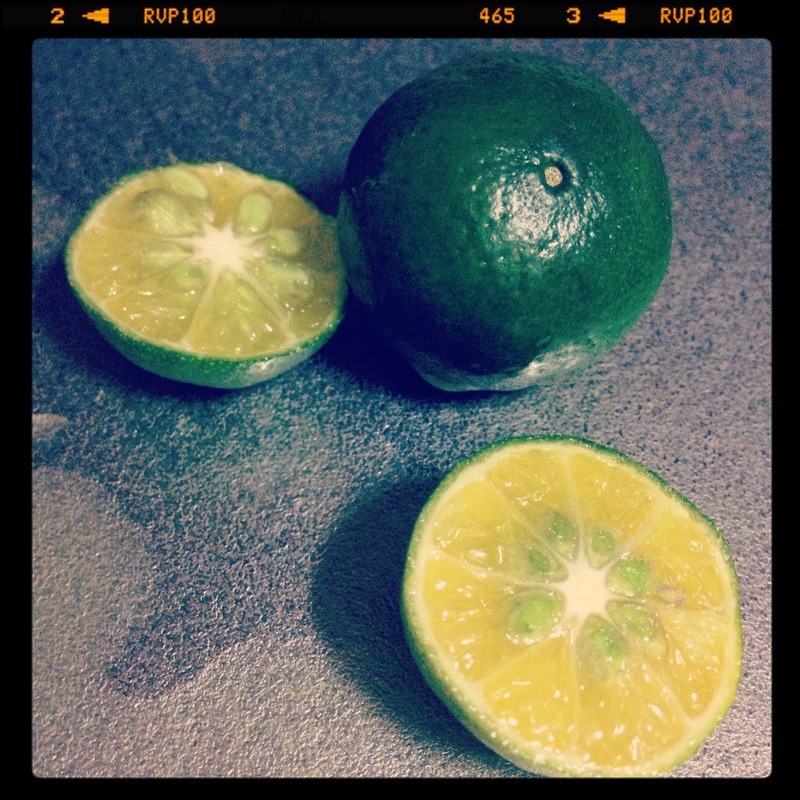 If lime and tangerine had a teeny tiny little baby, it would be named shikuwasa. I just had to make some refreshing juice with this. 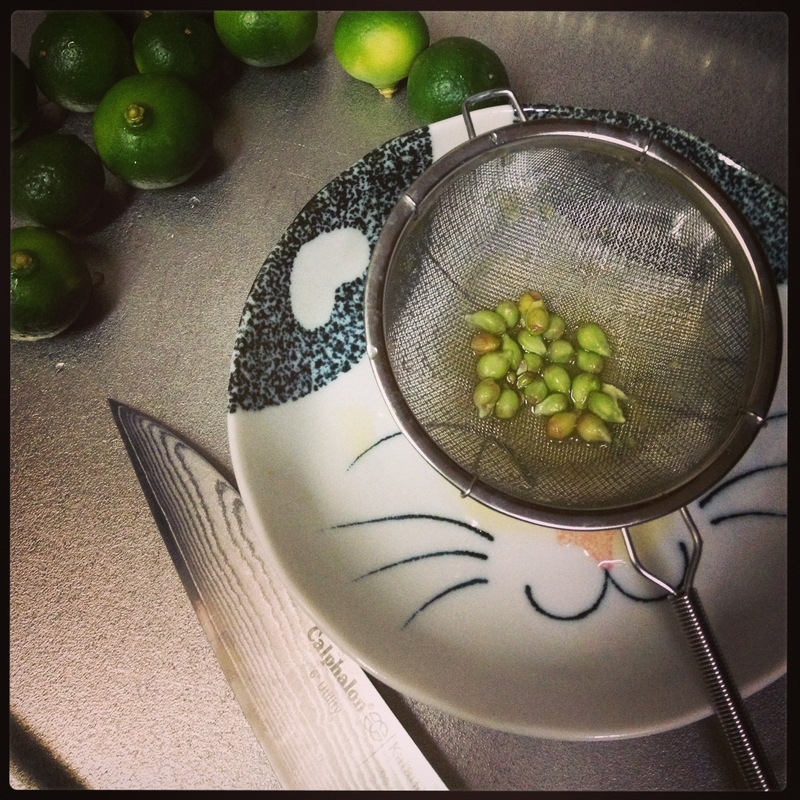 The tiny citrus fruits make this a wee bit time consuming, but I just love shikuwasa so much, it was worth it. 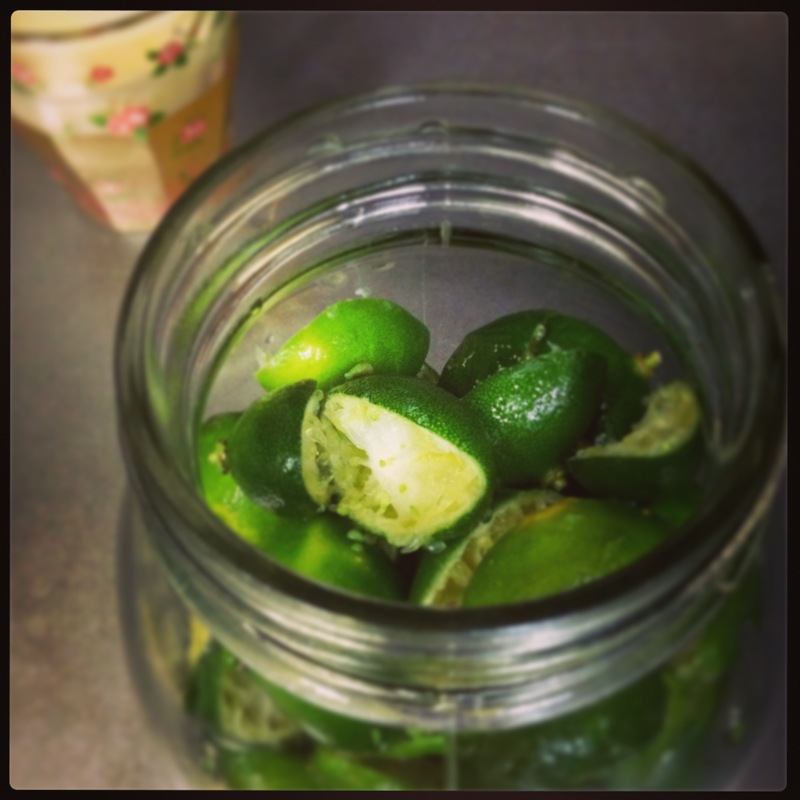 Otherwise, just use these in place of anything you would do with lime. I put everything in my blender and blended for 30 seconds or so. The shikuwasa and ginger are great digestive supports, so bring this drink to your next picnic! P.S. Use the rinds to start a new DIY Citrus Vinegar Cleaner. 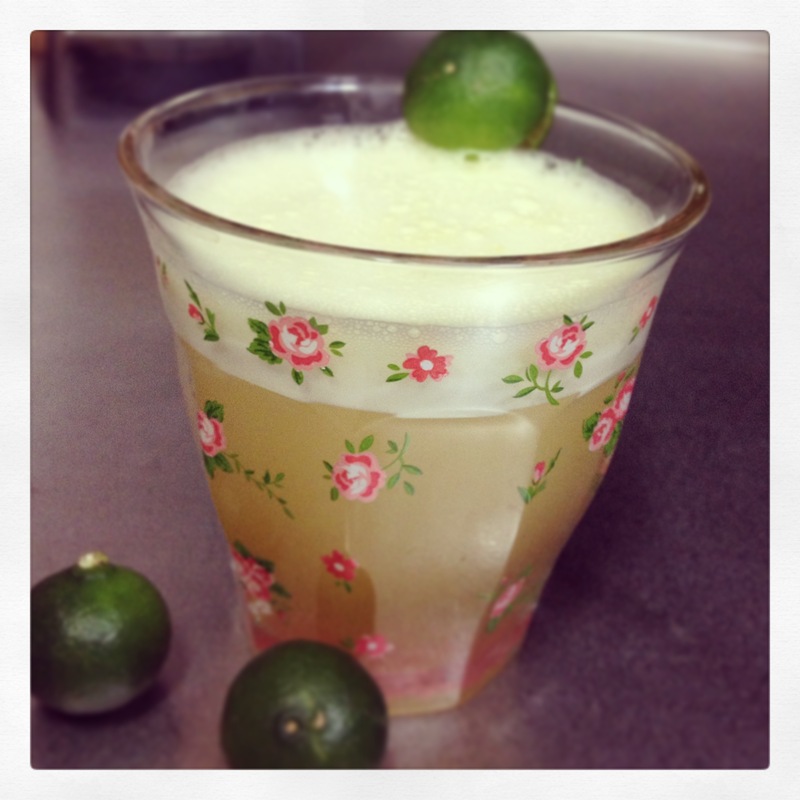 This entry was posted in Ayurveda, Food and tagged drink, naturally diy, okinawa lime, okinawa lime drink, pitta, shikuwasa, shikuwasa-gingerade. 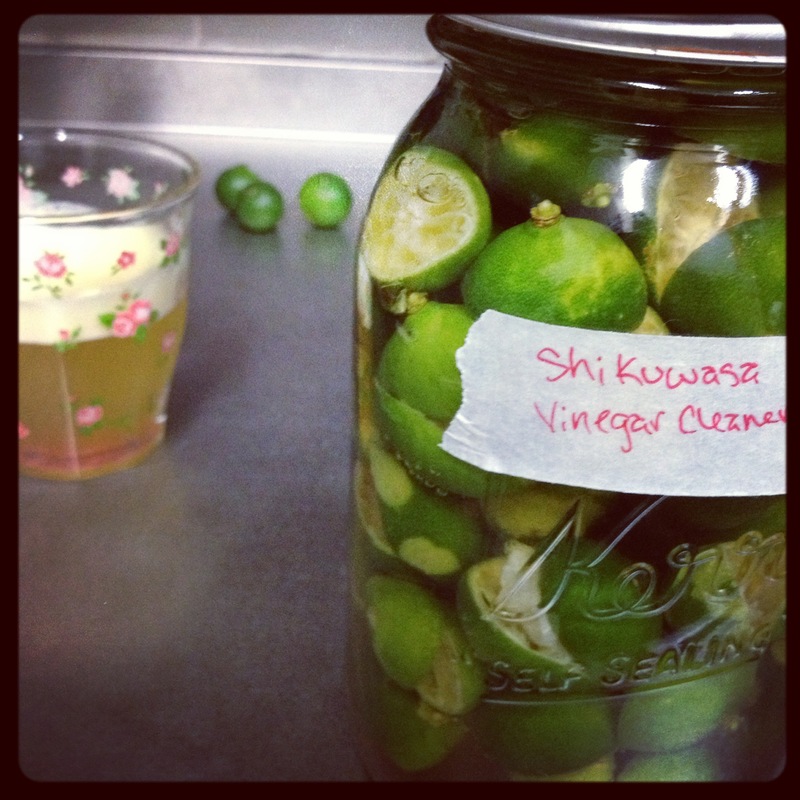 I put my shikuwasa peels in a jar for my citrus vinegar cleaner yesterday! I’m glad you wrote this post because I’m still recovering from a cold and I know ginger, citrus, and honey are all beneficial. Now I know of a new drink to make! True. Ginger in particular. Great for boosting circulation to move illness through your system and supporting the immune system. 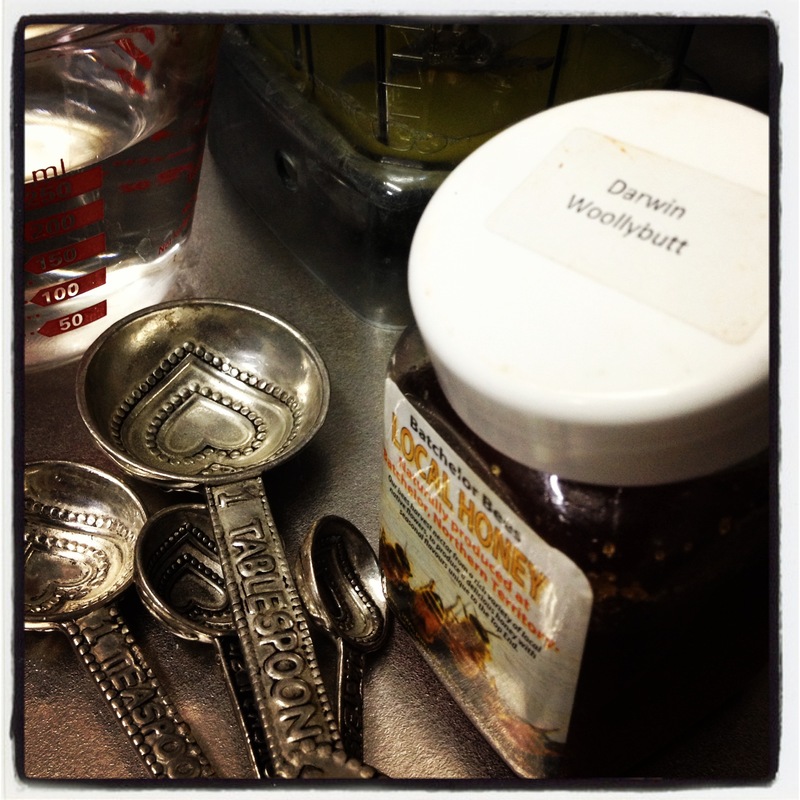 Ginger tea, simmered for 15 minutes, is great for colds as well as helping with digestion.Hope you recover quickly!